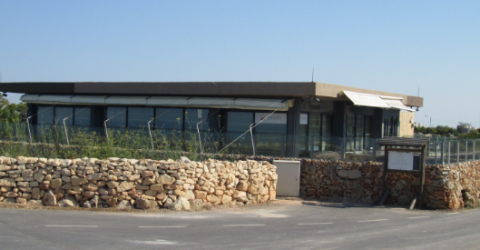 THE CLIFFS centre is managed by La Pinta Ltd, a company from Dingli, with various direct links to traditions and history of the Local Village. The company’s immediate family, the late Luigi Muscat used to run a bar in the village centre, called “Louis bar” which also served as a centre where books were read to the illiterate Dingli locals. La Pinta Ltd has direct links to the adjacent areas, especially the Cliffs, since for generations it was and still owns and daily interacts with the agricultural land of the area. Living at Dingli and being one of the main land users of the cliffs, the company has long seen the need of blending the environment, tourism and local aspects together and to offer a service for visitors arriving at the cliffs. The interconnections between the needs of the environment, socio-economic potential, and the input of local culture are amalgamated at THE CLIFFS. Most food served at THE CLIFFS is local with traditional aspects that have been either lost or in the verge of being lost. Wild and semi-wild edible plants are being rejuvenated through the food that is served including asparagus, borage, cape sorrel, capers, nettle, wild fennel, and wild rucola…this will make users aware that the surroundings offer about 1100 different species of wild plants. Quince chutney added to cheese platters is picked from the fields down the cliffs owned by Muscat family, the same family that planned, built and is running the centre. Other Dingli products that can be tried at the centre include local cheeselets, honey, meat, herbs, capers, olives and numerous fruit. All vegetables served at the THE CLIFFS are fresh and local. The chef is from Dingli with years of kitchen experience at the best local hotel and with two years experience at Gleneagles Scotland, together with six months at Scotland foraging for wild fruit, mushrooms and herbs. Information and interpretation concepts are provided by an Environmental Planner graduated at UCE B’ham. The Chef and Planner are brothers belonging to MUSCAT Family.